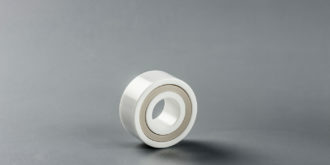 Full ceramic bearings constructed entirely of ceramic material. Inner/outer races and balls are made of either Silicon Nitride (Si3N4), Zirconium Oxide (ZrO2) or Silicon carbide (SiC). Full ceramic bearings are lighter, smoother, stiffer, harder, corrosion resistant, and electrically resistant. 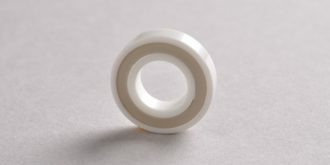 Full Ceramic bearings are used in extreme and in special environments like operating temperature from as low as -85°C up to + 800°C, vacuum environments, semiconductor manufacturing, non-magnetic equipment and more. 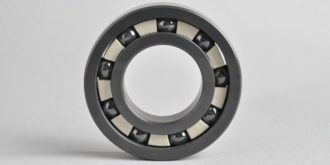 At Ortech we offer a complete range of full ceramic bearings including Deep Groove Ball Bearings,Thrust ball bearings, Angular Contact Ball Bearings, Self-aligning ball bearings and Insert Bearings.